Blog Feed What can Churches do about Christian youth leaving? Here's an answer! What can Churches do about Christian youth leaving? Here’s an answer! 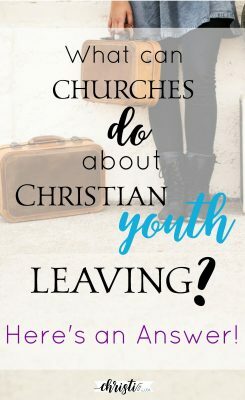 Are Christian youth leaving your church after they graduate? 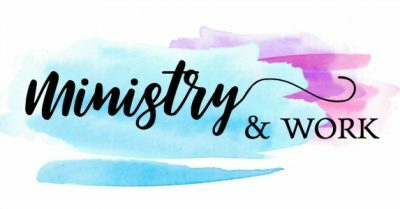 One woman launched a ministry to keep them connected & foster millennial – mentor relationships. The statistics are staggering. Christian youth leaving the church after high school. Dropout disciples. A massive youth exodus. Depending on whose research is cited, the percentage varies from almost 60 percent to well over 80 percent. in this battle to retain and reclaim young weary soldiers. One of my favorite articles on this was written by Ed Stetzer and published on ChristianityToday.com. He quotes Lifeway’s research and offers hope that many of the youth who “dropout” are actually on “hiatus” instead. Their research reveals a large percentage of the Christian youth leaving eventually return to church as young adults. Furthermore, it offers predictive factors in determining which teenagers will stay in church. The Barna group echoes the impact of relationships with adults and mentors in the church, exploring this one first in their list: 5 Reasons Millenials Stay Connected to Church. A friend wrote a beautiful, practical piece on what this “R factor” (Relationships) looks like as part of her series, How do I get my kids back in Church? She describes two different friends from church and the opposite interactions they have had with her millennial children. Her wise words resonated so deeply with me that I shared the post and tagged many of my “second type” friends she describes. When I tagged those “second type” friends (the masters of the “R” factor) one who topped the list was Alesha Kendrick. Not surprisingly, when her daughter went off to college, Alesha started a ministry within her church to reach out to ALL young adults from that congregation who were stepping into a new phase of life. I believe ministries like the one Alesha championed can have an impact far beyond what is currently seen. I interviewed her and she shared with me so I can share with you. This woman of God is known by all for her attention to detail and excellence in everything she does. She even offered her letters, schedules, and tips. I compiled these all into one resource file for Cheerio friends. You can get that file delivered to your inbox by clicking below. The “Adopt a Young Adult” initiative organized and paired adults in the congregation with high school graduates. What follows is a basic outline of the ministry and Alesha’s step-by-step outline of how she launched the program and handled the correspondence. An intentional program to connect adults in the church with young adults out of high school. This is accomplished through notes, birthday cards, care packages at scheduled times, and a commitment to prayer. High school graduates who are away at college, attending college nearby, serving in a mission field, or serving in the armed forces. Although Alesha’s inaugural effort did not launch until October the first year, the program now runs August-May. A schedule (included in the swipe file) suggests cards/notes (and optional care packages) at critical academic times as well as birthdays and selected holidays. Items with an asterisk indicate Alesha’s letter or form is included in the swipe file. Step 1: Contacted leadership to get permission to move forward with the ministry. Step 2: Obtained a list from the church secretary of students between the ages of 18-25 that were college students, missionaries, or in the military. Step 3: Penned a letter to parents* of these young adults to inquire who might be interested in having their young adult sponsored. Step 4: Penned a letter to the congregation* detailing the new ministry. Step 5: Collected all the necessary information needed for “adoption” along with pictures of the young adults. Step 7: Created an adoption sign-up sheet* so the congregation could choose an “adoptee.” Along with the sign-up, they picked up an adoption packet* with all the pertinent information enclosed about their young adult. As with any new ministry, something like this must be tailored to meet the culture of the home church and navigate challenges unique to the participants. However, I know from experience that just getting started is often half the effort. I pray this post and future posts like it spark your imagination and plant practical seeds to help turn the tide of Christian youth leaving our churches. And I hope this extensive samples resource helps you take the first step if you’re inspired to contribute to those hopeful statistics. If you want the swipe file, start by clicking the button below. As always you are addressing a topic so relevant and personal that it hits right at the heart of an issue we all need to be aware of. This is more than a physical building that houses the saints traveling to praise and revere Him, it is more than programs,plans, and practical ideas. This is all about the heart, it is about following the Golden Rule and making discipleship the mission focus. If we did that, if we listened close to the hearts that are beating right around us, maybe we would hear their compassionate pleas to be understood. If I am going to be real, and I want to be real with you because you compel me to be that way. I have a drop out disciple in my home. I have a 20-something ( well, actually 20 year old) who has made the decision to stay out of church on Sunday Morning. It. Breaks. My. Heart. I know that there are many reasons I can give for why she is at this place. It doesn’t matter, because she is. I know there are lots of things I did to direct her decision. I can’t fix the mistakes of yesterday, because it is gone. I know that she has been loved and been hurt by the very same people. The church is full of sinners who need a Savior… among which she and I are both counted. … the power of prayer is effective and powerful. …that God is not done with me or my girl. … that He will work out every bad thing for HIS glory. … that this mission field of my living, this being a mom and being a daughter of the king together is a part of my written story by the ink of His hand, is not completed and has not be sealed before my own eyes….though it has been by His. I know, too, that HE is faithful. Always. So, this topic as heartbreaking as it is, it doesn’t have to be the end, like you are leading us to embrace. Usually, it is the one who has seen first hand experience, grace moving in action after the real life hard has become a memory in the chronology of life, and that is why ministry is so servant mission minded. That is why discipling is so hard and costly, because unless it costs it has no value. That is why it takes the broken to build the church and attract the wounded to the healing His love provides. We need to be the prayer warriors who don’t bandage and cover everything over, glossing it to make it look appealing to the world because these young adults see it for what it is and that is what upsets them most. They see us pretending. That is what my daughter challenged me with. And you know what… she wasn’t far from the truth. Ultimately, she was challenging me to live what I say, and by living faithfully, trusting that HE, TOO, is faithful, then she will see that He is everything I have proclaimed all of her days that He is. I would rather she not struggle with her faith. It is hard to watch. But she has given me a glimpse that also supports what you said about them coming back. Proverbs 22:6 says, “Train a child in the way they should go, and when they are old they will not depart.” It doesn’t say they’ll never question it. My prayer life has grown immensely as I have contended for her faith to be drawn deep and that through her struggle she would emerge refined. That is where we need to stand strong for these young lives who are going to be a part of the harvest because if they don’t question they won’t be able to draw in the wounded of their own time. We need to pray them in to their laboring spaces, which in and of itself is a labor of our own. Thanks for reminding me to take time to go deep with the Lord on behalf of these warriors that are waiting to be reminded of His faithfulness. Wow dear friend. Had no idea this trial was one you knew so well. Thank you for sharing the struggle as well as a heart full of wisdom, faith, and hope. 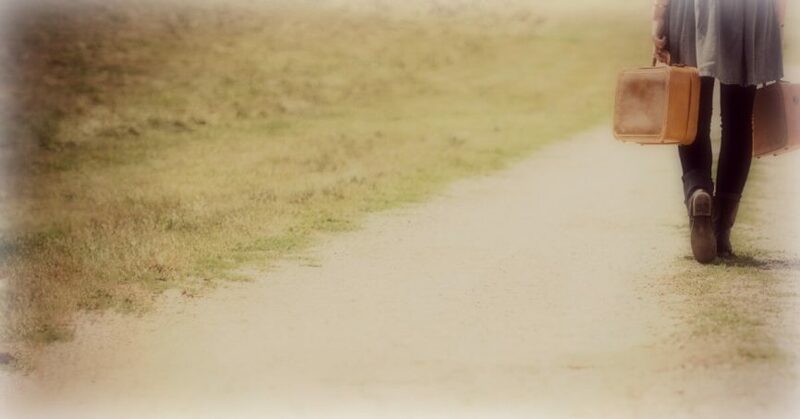 This trail you’ve left here will likely be found by others who need to hear from someone who is walking their same road. If you ever want to guest post, I would love for you to share more. I know better how to pray as your name is brought to mind. Thank you. The sharing is certainly meant to bless and I appreciate your invitation. I am not sure how much I can share yet, other than I do know that I am learning HE is so very faithful and that our prayers are transcendent of our understanding of time. He answers our prayers in HIS time as He prepares hearts. And I am thankful that although the choice to stay out of church on Sunday is not a choice to stay away from the Lord for my daughter. She is in a transition season and truthfully, His hands are the best place for me to put her. That is hard lesson for a momma to learn but very necessary.